In some areas of the watershed straight, stagnant and artificial channels severely harm the health of the local ecosystem. GeoEngineers' recommendations targeted specific areas for improvements to habitat and water quality. 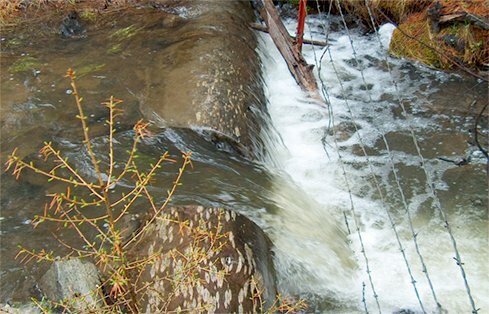 Priorities for the John Day Watershed included improving fish passage. Natural barriers like this one can control river flow while still allowing fish passage upstream. 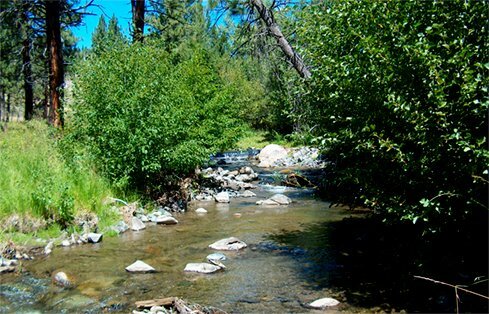 Improved riparian plantings aid fish populations and the overall health of the river system. The John Day River Basin is critical to the overall health of fisheries in the Columbia River Basin. 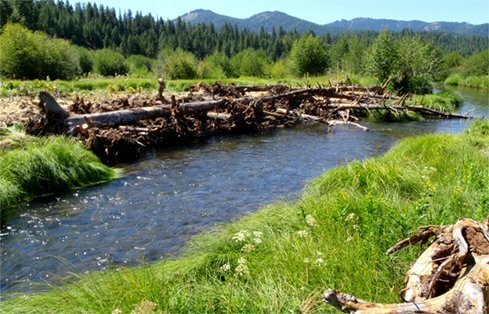 The Confederated Tribes of the Warm Springs Reservation of Oregon (tribes), along with landowners and environmental funding agencies, needed a comprehensive watershed restoration plan for the region. These stakeholders wanted a long-term road map to direct restoration priorities and communicate their environmental goals to the public and other agencies. The tribes hired GeoEngineers to perform the necessary watershed evaluations, create a comprehensive restoration plan and package it as a dynamic printed deliverable for public use. The finished strategy would link limiting factors to reach-scale conditions, rate projects on potential benefits and add transparency to the process. Using GeoEngineers’ plan and recommendations, the tribes would be able to prioritize restoration efforts at a range of spatial scales depending on funding and other practical concerns. First, GeoEngineers’ team worked with a number of fish and wildlife management agencies and other stakeholders to identify and prioritize habitat limiting factors throughout the John Day Basin. By synthesizing all available data into a concise, easy-to-use database, the team could prioritize restoration projects most likely to increase fish and wildlife populations. After suggesting and prioritizing restoration strategies, GeoEngineers worked with the tribes to develop a 98-page “atlas-style” document presenting their findings and recommendations for the watershed. This comprehensive document will be used to communicate with landowners, tribal partners and potential funders as they work together to manage and restore fish habitat. Resource managers are already using the plan document to communicate fish habitat needs, shared project priorities and where work needs to occur. This strategy also gives funding agencies assurance that their investments will be used in the most effective way possible. 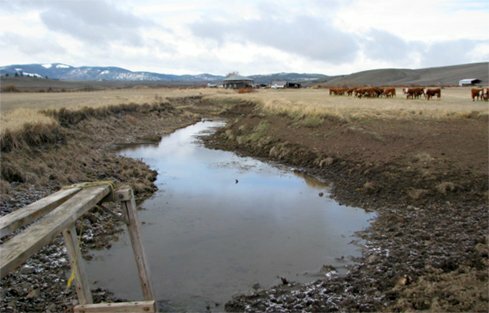 The tribes and their partners have been successful in using the plan to kickstart and guide river restoration projects in the John Day Watershed.